On Thursday, October 5th, a final written decision issued by the Patent Trial and Appeal Board (PTAB) upheld a series of 22 claims from a patent owned by Indianapolis, IN-based drugmaker Eli Lilly & Company (NYSE:LLY). This decision ends an inter partes review (IPR), which was initially petitioned by Chicago, IL-based generic pharmaceutical firm Neptune Generics to challenge a patent covering Alimta, a drug approved by the U.S. Food and Drug Administration (FDA) as a treatment for patients with advanced nonsquamous non-small cell lung cancer (NSCLC). The Eli Lilly patent challenged by Neptune in the IPR was U.S. Patent No. 7772209, titled Antifolate Combination Therapies. Issued in August 2010, it covers a method for administering pemetrexed disodium to a patient in need thereof by administering effective amounts of folic acid and a methylmalonic acid lowering agent followed by administering an effective amount of pemetrexed disodium; the particular methylmalonic acid lowering agent used by the treatment is vitamin B12. The use of vitamin B12 in the treatment helps to reduce the cytotoxic activity which antifolates can create in a patient’s body when that patient is undergoing chemotherapy, helping to limit the potentially life-threatening toxicity which antifolates can cause in the human body. 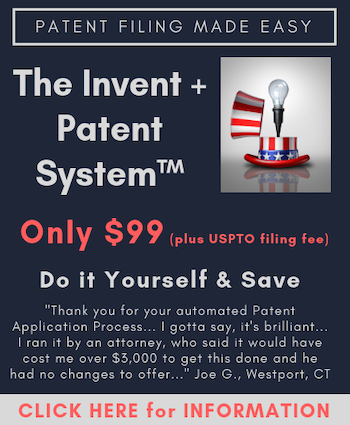 As the final written decision issued by the panel of administrative patent judges (APJs) from the PTAB notes, multiple claims of the ‘209 patent had been upheld in district court as nonobvious under the clear and convincing evidentiary standard. In an Eli Lilly case against a subsidiary of Israeli generic drugmaker Teva Pharmaceuticals decided March 2014 in the Southern District in Indiana, the administration of treatment taught by the ‘209 patent would not have been obvious to those skilled in the art despite multiple oncology research studies which involved the administration of folic acid with pemetrexed and other research showing a link between pemetrexed toxicities and elevated levels of homocysteine in patients; those elevated homocysteine levels did not necessarily indicate a vitamin B12 deficiency, the court found. Teva also presented evidence that vitamin B12 was routinely added to folic acid pretreatments, but the court found that evidence to be in the context of rheumatoid arthritis, not cancer treatments. The findings of nonobviousness in the Teva case were upheld in a decision issued this January by the Court of Appeals for the Federal Circuit. The PTAB panel sided with Eli Lilly over Neptune Generics on the definition of an ordinary person skilled in the art. Neptune provided expert witness testimony which they used to argue that an ordinary artisan would be a medical doctor trained in oncology who would normally defer to a nutritionist to determine whether to use vitamins to treat patients. Eli Lilly argued that the medical oncologist would make those decisions without nutritionist input. The PTAB panel found that, although the medical oncologist would likely have access to nutrition experts, the oncologist would make the final decision on treatment, not the nutritionist. The PTAB panel had decided to institute the validity challenge against Eli Lilly’s patent under 35 U.S.C. § 103(a) for obviousness in light of two pieces of prior art submitted by Neptune in its initial petition. The first prior art reference involved results of a Phase II clinical study on the effects of administering pemetrexed to patients suffering from NSCLC which was published in April 1999 by the Journal of Clinical Oncology. Petitioner Neptune had argued that this study disclosed a method of adjusting pemetrexed treatments in order to reduce toxicity in human patients. Neptune also submitted a European patent published in 1994 which covered pharmaceutical preparations including vitamin B12 designed to lower homocysteine levels in human patients. Neptune alleged that neither piece of prior art was considered by the examiner during the prosecution process leading to the issue of Eli Lilly’s ‘209 patent. In its termination decision, the PTAB panel sided with Eli Lilly in determining that Neptune did not provide sufficient reason as to why a person of ordinary skill in the art would have necessarily combined the results of the Phase II study on pemetrexed treatments with the European patent on vitamin B12 regimens to lower homocysteine levels. “As noted by Patent Owner, Rusthoven does not discuss elevated homocysteine levels, whereas EP 005 relates specifically to lowering homocysteine levels,” the final written decision reads. Although sales of Alimta have dropped in recent months, the cancer treatment remains an important part of Eli Lilly’s portfolio. The company’s earnings report for the second quarter of 2017 indicates that, although sales of Alimta have declined by 12 percent from 2016’s second quarter results, it remains the third-best selling treatment marketed by Eli Lilly, contributing $532.9 million in sales during the recent quarter. U.S. revenues from Alimta sales dropped by 6 percent year-over-year while worldwide sales declined 18 percent due in part to loss of patent exclusivity in several countries.